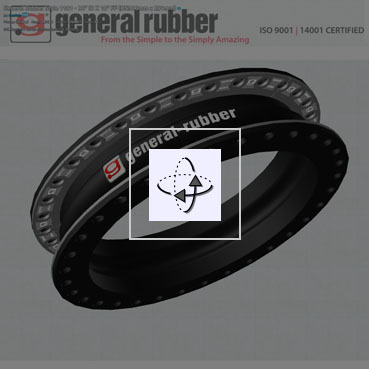 General Rubber has created solid model images for its products as a superior visualization tool. In addition to the manipulable three-dimensional images available via these links, 3D solid model files are available to our customers in file formats that are compatible with their modeling software. For styles and formats not shown, or to download a specific solid model file, please contact us with the style, size and file format you need. 3" | 10" | 24" | 36" | 72"